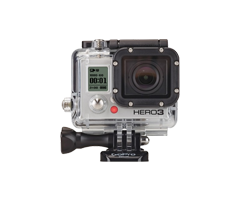 GOPro 3 Plus Silver is lighter and faster to its predecessors. This possess a ultra-wide angle lens with Built-in WiFi options to share, control and view 4x faster. #wear it.mount it.love it.